Combine your passion for event planning and interests to raise vitally needed funds for Momiji Health Care Society. The choices are almost endless – from garage and bake sales to car washes, BBQs and fashion shows, just to name a few. You could even host a reception or dinner in your home and encourage your guests to make a donation to Momiji. Be sure to contact our Economic Development and Donor Relations office as part of your early planning at info@momiji.on.ca or 416.261.6683 x 259 or 260. We are here to help and upon approval of your idea, we can provide you with our logo for your printed material and we can promote your event on our website and Facebook. Assemble a group of 25 or more of your friends, family, neighbourhoods, classmates, work colleagues, church group, etc. Raise the funds needed to make a direct impact. The group makes an annual commitment to raise $XXXX by having each group member commit to donate a pre-determined set amount at each meeting. For example each member donates $50 at each meeting making an annual commitment of $200. 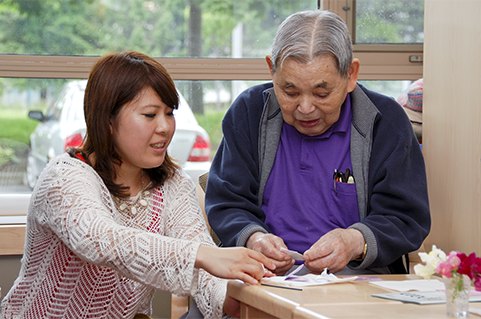 At each meeting members are presented with two to three Momiji funding projects that address relevant elder care issues (5-15 minutes). The group spends the rest of the meeting discussing which project is to receive the group’s pooled funds. At the very next meeting Momiji will report back on the progress of the funded project, prior to pitching its next projects.